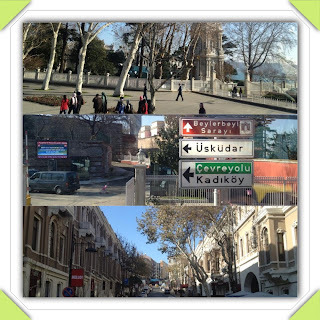 I decided to walk around the area the next day and explore the surroundings to feel the Istanbul culture. I was actually planning to tour the city and I had a plan on my mind until I saw this tourist bus. An agent showed me some leaflets and explained to me about the route of the bus. It cost me 25 TKL and it was a combination of Green and Blue lines. It was City Windows Travel company, I was encouraged to hop on the bus when I saw other tourists acquiring the service. The first ride was the Green Line (Golder Horn Tour); it was around 9:30 AM until past 2 PM. 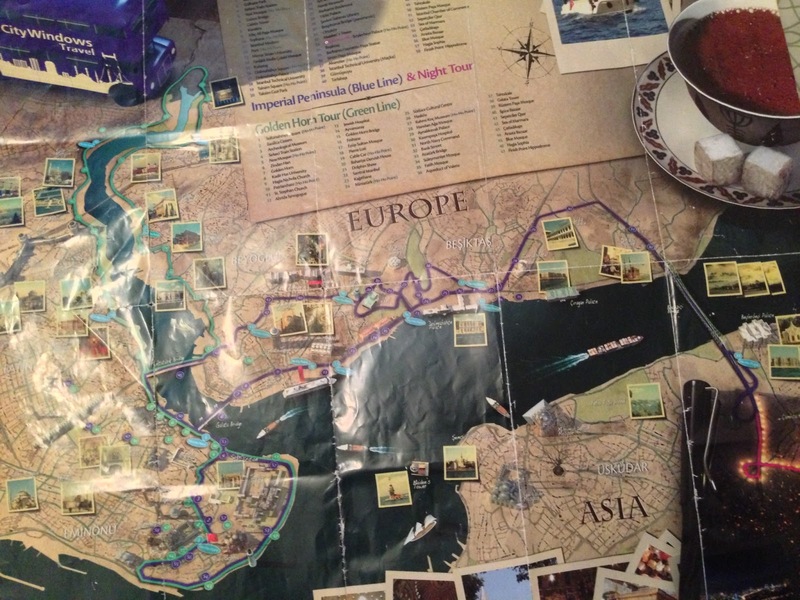 [as advertised from their website]: Golden Horn Route offers a combination of culture, history and nature. While exploring the unique beauties of Golden Horn, you will also make a cultural journey through different civilizations and the depth of spiritual side of the City. Starting from Hagi Sofia, the bus goes through Sirkeci Train station and Yeni Mosque to reach Golden Horn where meets all three religions' significant highlights: Aya Nichola Church, The Ecumenical Fener Patriarchate, the centre of Ortodox world; Ahrida Synagogue and Jewish Hospital and Eyüp Sultan Mosque and Tomb, one of the most visited Muslim religious sites. Then Eyup district, the Cable car that connects to Pierre Loti hill will be passed. Following Handan Aga, Aynalı Kavak Palace and Bankacılar street, the bus get back to the starting point via Ataturk Bridge. Around 3PM, the Blue Line (Bosphorus Sightseeing) started to take off and it lasted for 2 hours. [as advertised from their website]: You may not have enough time to spend around in order to feel the same way as the poet. But, at least, this tour offer the easiest and best way to obsorve all the major highlights of this City of romance, history, culture and natural beauty, with eyes open. It promises to be an experience to remember! Like all our other tours, it departs from Hagi Sofia. 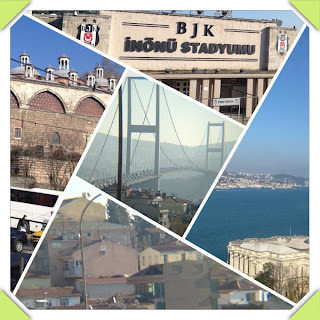 Going through Old City monuments, it extends to Besiktas and Taksim area to allow the observance of more modern monuments and then continues with Bosphorus and the Bridge, in which East meets West, Heaven joins Earth and the wonder of nature unites with history and excotism. After having a break at Beylerbeyi Palace which allows observance of Europe from Asia, the bus goes back the the starting poing following the same route. For full route, please read Night Tour and check the route map. All in all, it was more than six hours of trip and it was not that bad. 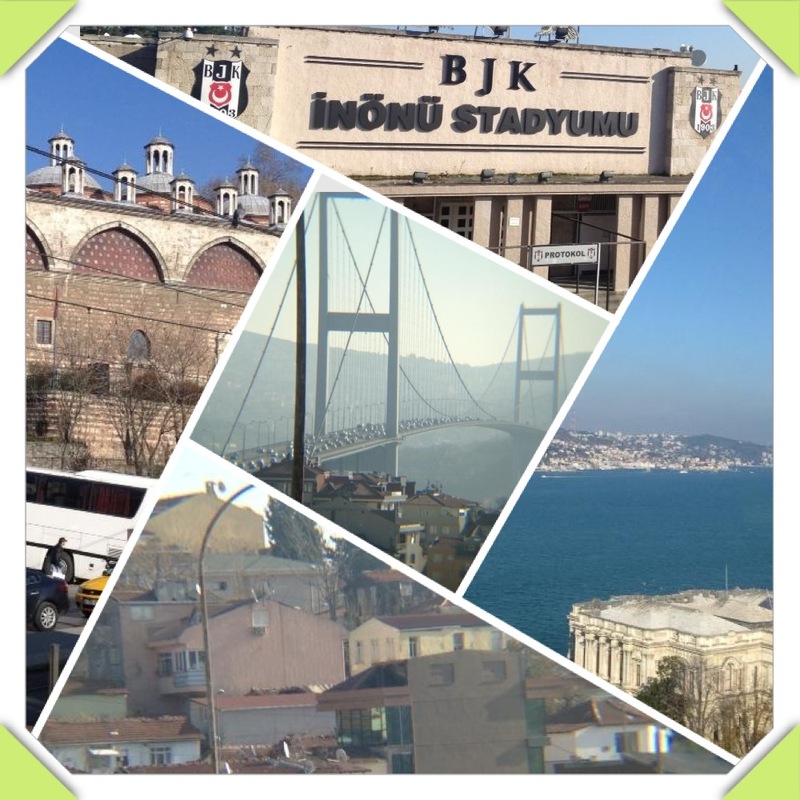 In a short span of time, I was able to see most of the tourist spots in Istanbul (though the picture taking was a bit difficult). The start and end point of the tour is in Sultahnamet Tram station where Hagia Sophia and Blue Mosque are located. 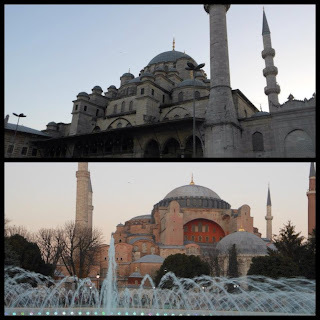 So I took a quick snapshots of these famous mosques and bought a scarf and gloves in the park. Unfortunately, due to carelessness, I lost my iPhone 4S. I reported it to the police and asked for a police report so that I can reimburse it to my travel insurance but the police said they can't provide it since I wasn't sure if it was stolen or I just misplaced it. It was an unfortunate event but I have learned my lesson well. Well, it was a part of the experience.